Weird WWII: "Red Skull: Incarnate"
This Marvel Comics limited series by Greg Pak and Mirko Colak tells the twisted and horrific origin of the Marvel Universe's most vile villain Johann Shmidt aka the Red Skull. 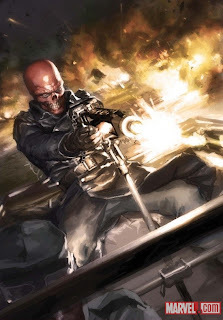 Pak's origin is a perfect blend of reality and fiction that really gives the Skull a believable history and Colak's art brings it all to brutal life. 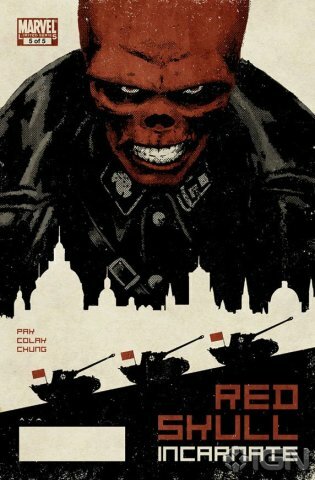 This series is a must for any Weird WWII or Cap fan so be sure to pick it up and see the birth of pure evil. not big into comics or even graphic novels but I have to say that I am a big fan of the Red Skull. When does this hit the shelves? Its already out so swing down your local comic shop and check it out.